From darkness you wake, nose first, to the scent of bacon frying on the stove. What kind of magical visitor has come to your home? Surely there is no Breakfast Fairy, but if there were, she would be flying just above the stove, moving between preparing a cheese omelet and making the bacon just right. 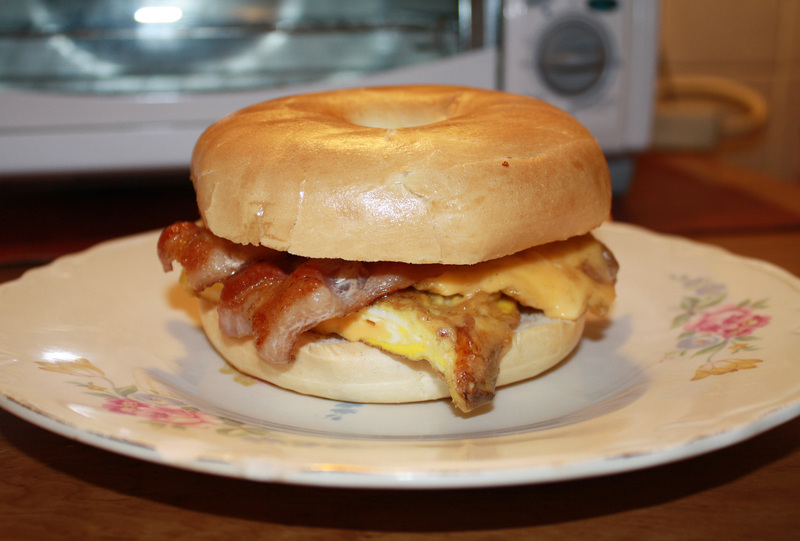 Add a sliced, toasted bagel to hold the contents, and you have a wonderful start to any day. The Breakfast Fairy would be happy to spread such joy.